Get the most accurate dimensions—and, later, great-fitting windows—when you follow these seven tips for measuring for replacement windows. Save big on replacement windows by measuring correctly and installing them yourself. Replacing old windows with new energy-efficient ones is a great way to weatherproof your home and boost its resale value. While many replacement window manufacturers offer professional installation services, if you’re a skilled DIYer, you can save anywhere from $150 to $600 per window by tackling the project yourself. 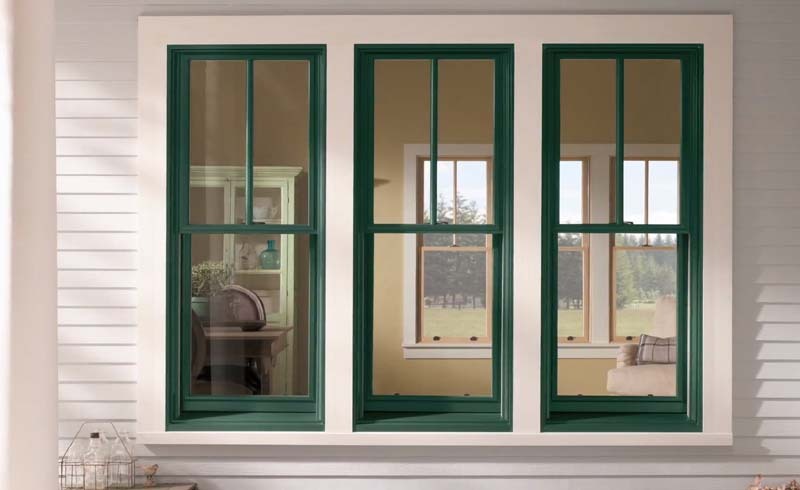 Measuring for replacement windows isn’t difficult, but it does require precision. The tips here will help you get the accurate measurements you need to install great-fitting windows. Are your window frames in shape? Before measuring for replacement windows, you must ensure that you can install them in your home. Replacement windows are more DIY-friendly than new-construction windows, but they’re not suitable in all situations. The condition of the wood frame around the existing window must be in good shape because the replacement window attaches to the frame. If the wood frame has water damage or rot, it won’t be structurally sound enough to support a replacement window, and a new-construction window will have to be installed instead. But if the existing frame is solid and “in square” (discussed in detail below), you should be good to go. Your first measurement will determine whether the existing window frame is in square—which means all four corners are 90° angles. Installing a replacement window in a frame that’s out of square (i.e., lopsided) can result in a window that won’t open. Holding the tape measure taut, measure diagonally from the inside of the upper left corner of the window (where the horizontal and vertical trim boards meet) to the inside of the lower right corner (where the horizontal and vertical trim boards meet) and record the measurement. Then, measure in the other diagonal direction and record that measurement as well. If the two numbers are within ¼-inch of each other, the window frame is suitable for a replacement window. If the difference is greater than ¼-inch, opt for a new-construction window. Measure the width of the existing window in three places—at the bottom, at the middle, and at the top. 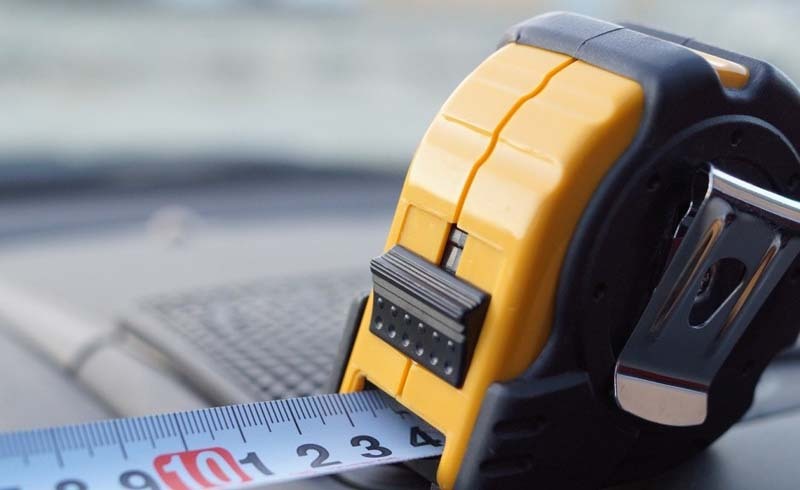 When measuring for width, position the tape measure against the window jamb on both sides. The jamb is the vertical board along which the outer frame of the window (sash) slides when you open and close the window. For the bottom measurement, slide the window up and measure from jamb to jamb at the lowest point. For the middle measurement, slide the window all the way open and measure from jamb to jamb as close to the middle as possible. To take the top measurement, close the window and measure from jamb to jamb at the highest point. Record each measurement, and then circle or otherwise highlight the shortest measurement. Measuring to determine the correct height for the replacement window is similar to measuring the width. Again, you’ll need to take three measurements, each extending from the top horizontal board above the window (head jamb) to the bottom sill. Take one measurement on the far left, one on the far right, and one in the middle of the window. To measure correctly, understand that the sill is the horizontal board that the bottom of the window sash rests on when the window is closed. The sill is not the horizontal trim board that extends into the room. While many call that board the “windowsill,” it’s actually the “stool” of the window. You’ll have to open the window in order to access the actual sill. Again, record all three measurements and circle or otherwise highlight the shortest one. When you order a replacement window, the depth measurement will not be included, and in most traditional houses, window depth isn’t an issue. The only time it will be a problem is if the depth is too narrow to accept a replacement window, such as some windows in mobile homes and modular homes. To determine depth, open the window and measure the sill space from the trim in the front to the trim in the back. This space should be a minimum of 3¼ inches in order for a replacement window to fit. Now that you’ve measured each window, take the circled or highlighted measurements (the shortest ones in each set) and round them down to the nearest ⅛ of an inch. For example, if one of your measurements is 32-15/16 inches, round it down to 32⅞ inches. If your original measurement is already in an eighth-inch increment, don’t change it. These final numbers are the ones you’ll use to order your new replacement windows. You can buy replacement windows online or from your local home improvement store. While home improvement centers sometimes stock a small assortment of replacement windows on their shelves, it’s usually better to have a customer service technician place a custom order based on the exact measurements. A window on the shelf might be close in dimension, but it’s rarely going to be a perfect size. Custom orders are best because window manufacturers subtract ¼ inch from both the height and width measurements, and then construct the new replacement window to within ⅛ inch of those measurements to give you the best possible fit. Ordering online is also a good option, since the manufacturer uses your measurements in the same way to construct your windows.